Click Here back to LA Open tournament's page! 18th_green.jpg (11 of 11) The eighteenth green as it looks from the club house. 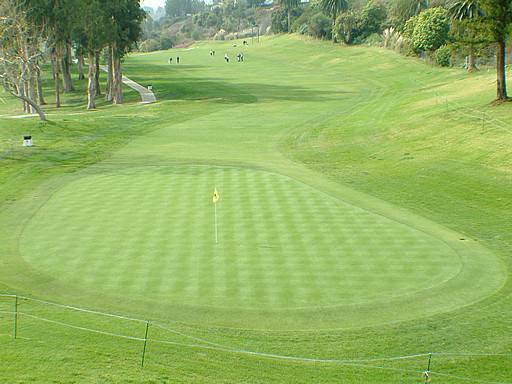 There are some tough and tricky pins on this green and you must know the slope of the terrain to understand them. A putt can get away from you real quickly here. It's a classic and great finishing hole .... Click to see more Golf Course Slide Shows:!